Nyasa Manufacturing Company (NMC), sponsors of Big Bullets Reserves and senior team have come up with a conclusion that the Reserve side which got promoted to the TNM Super League will not take their place in the topflight. 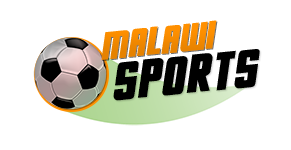 The conclusion comes after an ongoing conundrum on whether the team would meet Football Association of Malawi’s Club Licensing requirements of taking part in the Malawi’s elite League after clinching the Chitetezo Mbaula Southern Region Football Association League. The team’s outgoing Chief Executive Officer, Fleetwood Haiya, confirmed the development to a local leading Newspaper. Haiya also indicated that the League’s place has been offered to Ntopwa FC, and their plans are to continue nurturing the talent in the Reserves team. Reacting to the news Ntopwa FC owner Isaac Jomo Osman, expressed gratitude over the gesture. “I also thank stakeholders who advised Bullets on this matter. I am currently running around to ensure that we fulfill all the requirements to compete in the Super League,” Osman told the Paper.